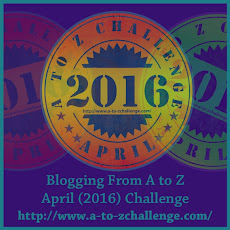 Back in April, when I was participating in the A to Z Blogging Challenge, I wrote a post on Murals of Los Angeles. It was by far the most viewed post during that time period, with visitors still returning today. In the post, I referenced the Mural Conservancy and their view on Los Angles as the mural capital of the world. Soon after, one of the commenters was Isabel Rojas-Williams, Executive Director of the Mural Conservancy of Los Angeles. 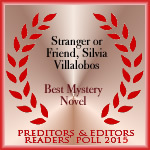 A wonderful surprise. I’m humbled and very pleased by the original visitors, the new visitors, and the wider attention shown by the Conservancy. The Conservancy has a website and a Facebook page, where they describe the entire restoration process in fine detail. If you live in the Los Angeles area or plan to visit us in 2014, please take a moment to appreciate our public art. It is some of the most beautiful in the world! My thanks to Ms. Rojas-Williams and the Conservancy for all their hard work, and for the follow-up to my old post. Image credit: John Wehrle‘s “Galileo, Jupiter, Apollo,” — from the Mural Conservancy. Los Angeles is the mural capital of the world (according to the Mural Conservancy). A place where folks don’t just talk about their art, they show it. L.A. attracts free minds and outspoken spirits from all over the world. And the home-grown people? They are eager to showcase their talents as well. We live in a town of mini artists, and some big-name talents with Hollywood right here. 1. 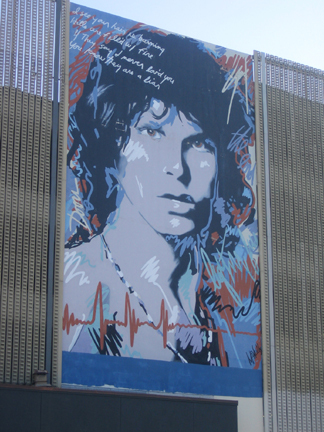 An interesting set — impressive in size — is a homage to singer Jim Morrison. First one (above) is in La Brea, south of Franklin. Second, of a shirtless Morrison, in Venice Beach — both by artist Rip Cronk. Clearly west-side Angelinos love the late singer. 2. Rip Cronk is also the man behind Ocean Swell. If you zoom in while taking the picture, it can easily be mistaken for the real thing — an actual ocean swell. This one is also on the west side, Ocean Front Walk at Clubhouse. 3. 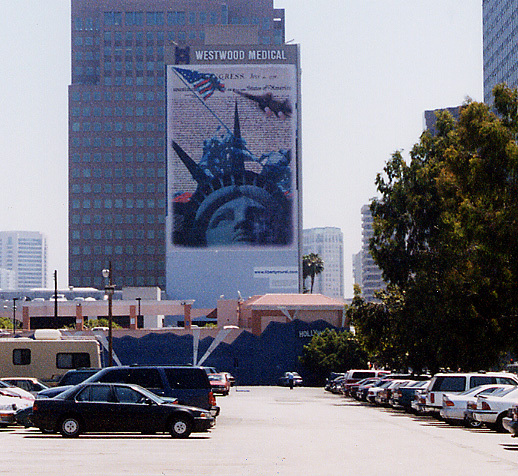 And probably the most controversial mural is Lady Liberty, by Mike McNeilly, once located on the side of a Westwood building. Behind the statute is the Declaration of Independence, and Lady Liberty has a tear on her face. The controversy began when the artist demanded he be allowed to paint freely, followed by a trial, then the artist’s arrest. Eventually, the mural was taken down. 4. 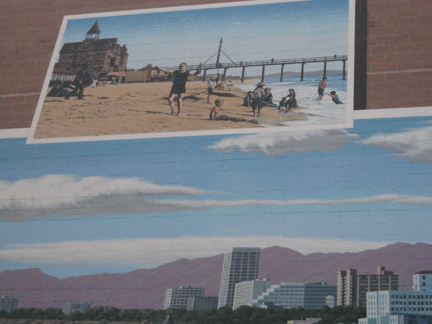 This Santa Monica Beach mural, by Arthur Mortimer, is one of many that stretches across the entire side of a 4-story parking structure in Santa Monica. It was commissioned by a foundation and it adorns a wall across an open space from their office building. Much more fun to look out the window and see scenes depicting historic events and the beach than just blank space. 5. 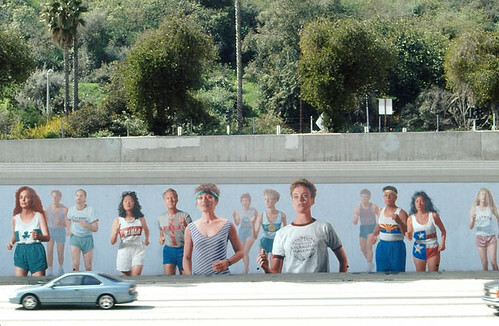 And, of course, the famous marathon mural depicted below. Many murals have been destroyed by vandals — some have been restored close to original form. They stand out alongside freeways or on buildings daring in size and splendor. When driving past, I try to take a moment and admire the public art. Is there public art where you live? If so, how do you like it?